You are here: Home / Travel / Europe / Belgium / Why you need to visit Mons/Bergen in Wallonia! Disclosure: I was a guest of Wallonia Tourism and Visit Mons, however all experiences and opinions are my own. Mons is only 40 minutes from Brussels by train. The city is very walkable, so it’s easy to take a day trip from Brussels if you’re seeking a bit of a slower pace. I was a bit surprised to learn about the unexpectedly feminist history of Mons. The city of Mons was founded by a woman named Waudru who separated from her husband in 670 A.D. Both spouses went on to create separate towns. Waudru established a convent, around which the town grew. Waudru later became Saint Waudru in the 12th century for her miracles, including freeing prisoners. The women at the convent were called the canonesses of Saint Waudru. The canonesses were noblewomen who decided to dedicate their lives to charity. Unlike many nuns at the time, the women were not forced to abdicate their wealth and were able to exert power as the functional heads of the town for many years. After the Town Hall was established, the canonesses worked together with the town council to determine the future of Mons. The influence of the canonesses remained for many years as they employed much of the town. In 1349, several cases of the black plague appeared in Mons. Fearful of being ravaged by the disease, the canonesses beseeched Saint Waudru to intervene and save the city. One of the canonesses organized a procession to circle the town and the adjacent towns with the shrine of Saint Waudru. Miraculously, the black plague left Mons. So grateful was the town, this procession is now performed yearly, albeit with some changes and new additions. This was the beginning of the Doudou festival. During to the French revolution, the canonesses were persecuted as noblewomen, resulting in the end of the canonesses of Mons. However, their legacy continues on with the continuation of the UNESCO recognized Doudou festival. If you are in town for the yearly UNESCO recognized Doudou festival (also called the Ducasse de Mons), you need to celebrate it with the locals. The Doudou festival occurs every Trinity Sunday. On the evening before the festival, the shrine of Saint Waudru (a reliquary) is lowered from the altar of the Collegiate Church of Saint Waudru, a must see sight in Mons. On the day of the procession, the shrine is placed upon the Golden Carriage (car d’or) drawn by six Belgian horses. This is the Baroque Golden Carriage displayed in the Collegiate Church. Starting at 9:30am, the procession begins together with 1,500 locals in costume, including some dressed as the canonesses from various time periods. Other costumes have become traditional, including a fireman’s hat and devil’s horns. On the golden carriage, a priest recounts the miracles of Saint Waudru. The reliquary itself is surrounded by altar boys. Once the carriage has circled the town, they must go up the hill to the church. 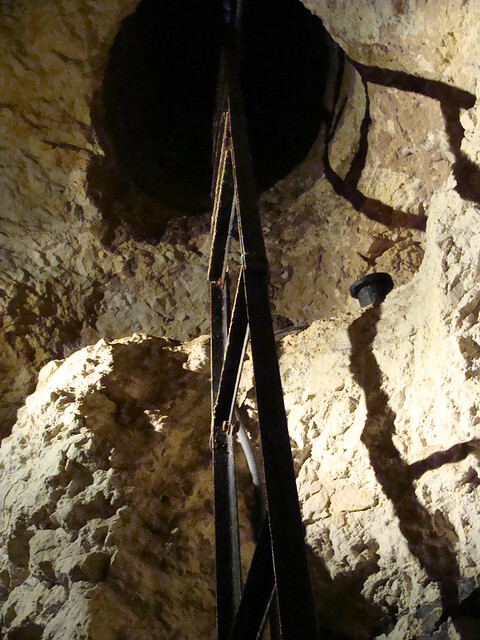 There is a superstition that the Rampe Sainte-Waudru must be done in one go without the carriage falling backwards or stopping. Otherwise there will be bad luck for the town. Luckily, the townspeople join in to help for this last section and push the carriage up the hill. Afterwards, the shrine is returned to the church until the next year. The second part of the Doudou festival is in the afternoon and is called the Lumeçon. The Lumeçon re-enacts the fight between Saint George and the dragon. The battle is held in the Grand Place of the Mons with men in white holding a large dragon. There are “devils” running around with balloons, knocking into those around the arena, as well as leaf men (men covered in ivy) helping to defend the dragon. The moves of the battles are well practiced and (#spoileralert) Saint George will always kill the dragon on his last attempt with a pistol. The town celebrates for a week and there is even a little Doudou the following week with children performing the battle of Saint George and the dragon in Mons. If you miss the Doudou festival, like we did, you can visit the Doudou Museum, to learn more about the history and the cultural traditions of the Doudou festival. There are many interactive displays and I especially loved the 360 videos of the festival. If you’re looking for a unique festival in Belgium, consider visiting Mons just to learn about this crazy annual Belgian festival. It’s nearly impossible to visit Mons without seeing the Grand Place of Mons (la Grand-Place de Mons). Many of the town’s restaurants are here, surrounding the Grand Place. We had a lovely dinner at le Petit Provence on the main square, however you’ll also find all the Belgian food that you dream of. In particular, you’ll find many frites stands and cafes. Simply put: don’t leave mons without having a Belgian waffle, a Belgian beer, and Belgian frites. Foodies looking for locally produced products can visit the Les Halles du Manège, the permanent market (open Wednesday to Saturday), as well as purchase local beer from L’Ode à la Bière, a local beer shop. Alternatively, you can get a pint of Belgian beer at Aroma Hop. We had great sandwiches at lunch at Pan’Amore. In the front of the town hall in Grand Place, you’ll find the guardhouse monkey of Mons. This iron statue is said to bring you good luck if you rub its head with your left hand. Nobody, including our tour guide, knows why how the monkey of Mons came to be, however it may have been a pillory. Next to the monkey, you’ll find a replica of one of the original decorated locks on the town hall gates. Belfries are part of Belgium and France’s rich history of architecture, however the Belfry of Mons is unique in its Baroque architecture. (The total height of the Belfry is 87 meters.) Belfries were used for a variety of purposes at the time, including time telling (hence the carilion of 49 bells). You can now climb the 360+ steps of the Belfry as well as admire its onion-shaped domes (or disparage them as Victor Hugo once did). A family of falcons now lives in one of the windows at the top, so try to spot them if you visit. The Belfry of Mons is absolutely beautiful and UNESCO recognized. The best view of the Belfry is from below, however the Parc du Chateau gives the best overlook of the town as well as a glimpse of the original city walls of Mons. You’ll also find the abandoned castle of Mons, which is now surrounded by bushes. Once you ascend the staircase up a street called Ruelle Cesar, you’ll end up in the park and on top of the ”mountain”. Mons is also known as Bergen (which means mountain in Dutch/Flemish). To clarify, there’s not a mountain here, however due to the river carving out the valley, a lot of soil formed a large hill (let’s not call it a mountain) in what is now the city centre of Mons. This stunning Gothic church dating back to 1450 found by the canonesses after they toured around Europe seeking out innovative church design. The church has many interesting features, including beautiful carvings by Jacques Du Broeucq. It also houses the Golden Carriage, used for the Doudou festival, as well as the shrine of Saint Waudru. Despite its seemingly large size, the church is surprisingly small in height. The canonesses originally intended for this building to have one of the tallest towers in Europe. However, the tower was never built. The church remains a stunning sight and one of the top things to see in Mons for a reason. Be sure to note the ramp in front of the church​ used in the Doudou festival. This second version of this temporary sculpture was created by a local artist. Although the first edition was not so successful (and resulted in damage to a car), you’ll find the Matchsticks of Mons a short walk from the Grand Place in Mons. This UNESCO recognized attraction in Belgium is one of the strangest and best things to do in Mons. Its visionary creator, Paul Otlet , dreamed of recording the history of the world to make it more accessible. Using a system called the UDC (University Decimal Classification) system that Otlet and La Fontaine helped create, they attempted to categorize knowledge by the subject. 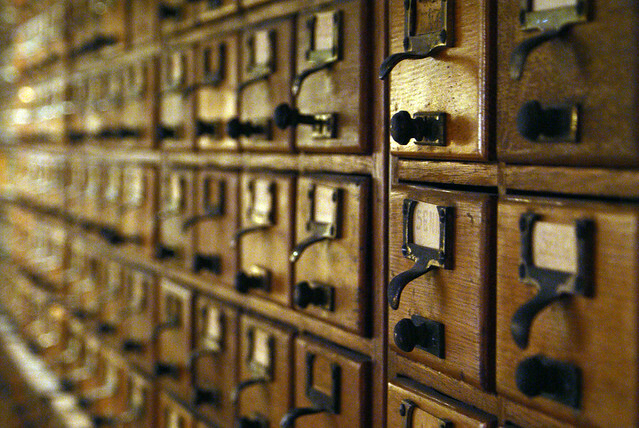 Otlet stored over 15 million cards (3 by 5 inches) containing bibliographic information, images, articles, and knowledge in this library, later using microfilm (revolutionary at the time). Only possible with a tour of Mons. This is the actually the second town hall. The main market of the city was moved, and the town hall with it, when the original became too large for the town. The gothic-style town hall of Mons is hard to miss in the historic Grand Place of Mons as it’s the most beautiful building. If you plan ahead, you can visit the Town Hall, which is one of the best things to do in Mons. Inside L’Hôtel de Ville, you’ll find official rooms, still used to this day. The most impressive room of all is the wood paneled hall with the coats of arms of families and portraits of the former mayors of Mons. Behind the Town Hall, you’ll find the secret Mayor’s garden (Jardin du Mayeur). For many years, this was a private garden kept off limits for normal citizens, however this was opened up to the public fairly recently. Without question, my favorite thing to do in Mons was to get lost in its beautiful cobblestone streets. After spending over one week in Brussels, I loved being able to relax while escaping the big city, which made Mons a relaxing day trip from Brussels. There’s nothing like getting lost in a beautiful city while eating Belgian waffles/frites. Vincent Van Gogh lived in the Borinage region and you can visit the house where Vincent Van Gogh decided that he’d become a painter. The Maison Van Gogh is a short drive from Mons (about 15 minutes). Click for more information about Van Gogh in Belgium! The Grand Hornu is a great example of an old coal mining complex and town that is well-preserved. The Mons area was one of Belgium’s main coal mining regions. It is now converted into a museum showcasing modern design. Mons is part of Wallonia, so the residents speak French primarily. English is widely spoken. Maestro cards and Visa/Mastercard cards are not widely accepted in Wallonia. We were unable to pay for some things with Maestro cards as many small businesses used a local Belgian card (Mister Cash) and did not always accept other types of cards. Always check before you pay and we recommend carrying cash! Most major supermarkets (Carrefour) and major chains will accept Maestro. The train from Brussels to Mons costs 10 euros per way (September 2017). From Brussels Centraal/Bruxelles Central, the direction of the train isMons. I took the train from Brussels Zuid /Bruxelles Midi. The train from Brussels to Bergen (aka Mons) is 47 minutes. The Mons train station is very close to the Mons/Bergen city centre (about 10 minutes) although much of the walking is uphill. There is parking on the edge of the historic town although parking on the street will be difficult. Mons is reasonably sized and walkable, so if you’re looking to spend the night in Mons, you can save quite a bit compared to hotels in Brussels. We stayed at the Ibis Mons Centre Gare, which was across from the train station and a 10 minute walk into town. For those seeking boutique hotels with flair, Mons is full of options, including a boutique hotel inside a former church. If you can stay close to the Grand Place, I recommend it. Have you been to Mons? Keep reading about things to do around Brussels! Wow, this is so interesting. I really like the feminist history, I would not have expected that. Thanks for sharing you experience! Mons certainly looks worth a visit wow! I find it so fascinating that the couple split and then each of them started their own seperate towns. I would especially love to see that Gothic church and follow the trail of Vincent Van Gogh! What a beautiful city and I had never even heard of it. I would love to climb to the top of the Belfry, visit the church, rub the monkey, and see the Grand Place. The Grand Place reminds me a lot of the one in Brussels. What an interesting post – so much I didn’t know. And how hectic is that temporary sculpture? Yes please, I’ll have a Belgian waffle right now, thanks. I was also surprised that it was a temporary structure, however the artist has reinforced it to ensure that it lasts a few years–and I think the idea is revisited as long as it’s stable. I’ll take a waffle too! I love that your posts are always so detailed.Can’t wait to visit the Spienes caves and the Waadru church. In fact, can’t wait to visit Belgium, and Brussels and Mons. WOW this town looks stunning! The architecture is gorgeous – I wish I had known about this place when I visited Belgium as a teenager! Wanted to go back for ages anyways – putting this on the itinerary for sure! What a cool city! I hadn’t even heard of this one before, but it’s totally somewhere I would have visited had I known about it. We took a trip to Belgium once and visited Brussels, Bruges, and Ghent, the latter two I really loved, but only enjoyed Brussels because we were visiting friends there. I much prefer the smaller Belgian towns. Will be pinning this for when we get to make a return visit someday! Does Belgium have any places that AREN”T awesome? LOL. Your photos are gorgeous. Can’t believe how many UNESCO sites there. The feminist history really cool too. Gotta add this to the Belgium list! Wow, what a guide! Mons looks so beautiful, especially the old streets…definitely need to explore further north when I’m living back in France! Also that festival looks amazing, I love that it’s called Doudou which in French means toy!? What a gorgeous looking place this is. I was stranded in Brussels a couple of years ago when there were problems with the Eurostar and had no idea where else to go for a day trip. This will definitely go on the list for future trips. I love the architecture in Belgium and the cloudy skies make it look even more dramatic. Wow! You just teached me something about my country that I didn’t know at all! I’ve never been to Mons but after reading this I’d love to go there (I’ll just wait til spring or summer haha). That baroque belfry looks stunning.